New Images from Daniel Matos Velez. CLICK HERE! Investigator Ellis Captures Strange Object On Film After Hurricane Maria. CLICK HERE! 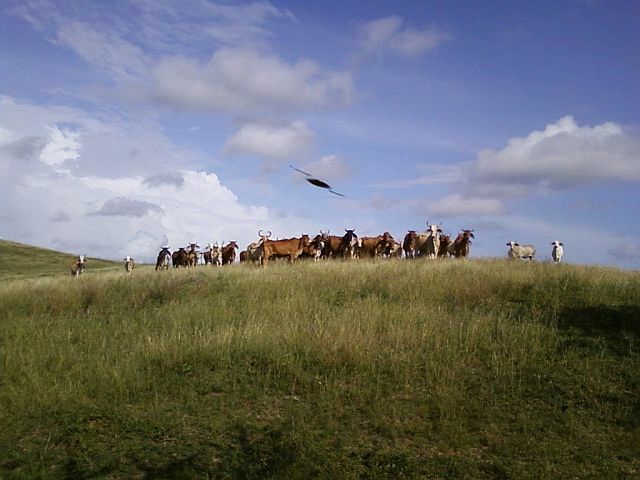 We recently installed a webcam at Galloway's, on the bay in Boqueron, Puerto Rico--a hot spot for UFOs & USOs--facing Southwest, toward the "pathway" these craft often travel. 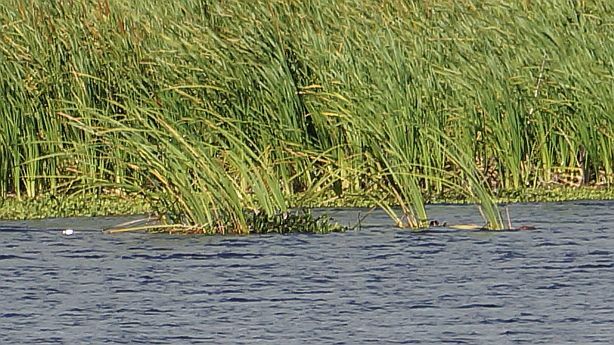 The cam streams live most of the time, and large chunks of video are archived for public analysis. We need your help analyzing this video! This is our first step. Eventually we'll have even better cameras strewn around Puerto Rico. Please tell your friends about this site! 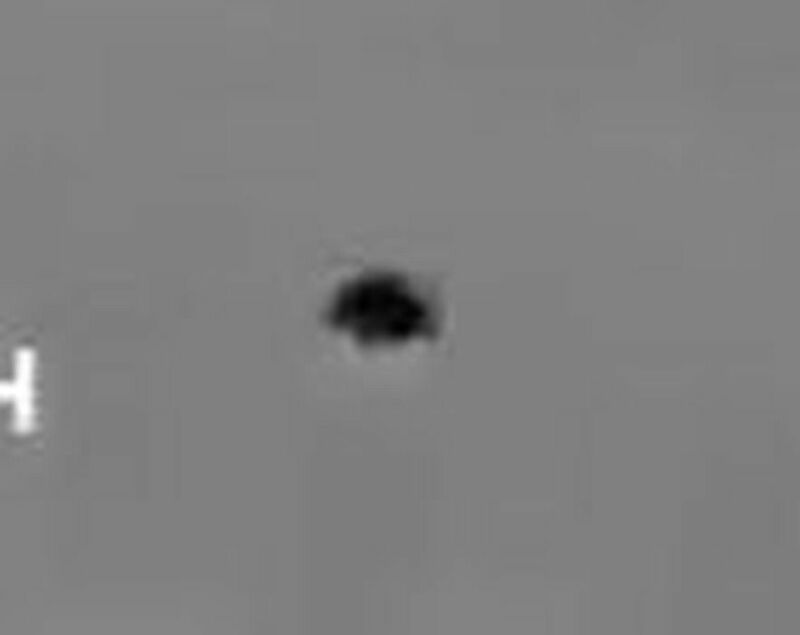 UFO Filmed by Homeland Security in Aguadilla!  On April 25, 2013, around 9:20pm local time, a Homeland Security Customs and Border Protection Aircraft filmed this strange object, via IR/thermal, flying around the town of Aguadilla, Puerto Rico, and the commercial Rafael Hernandez Airport, at up to 120 mph. 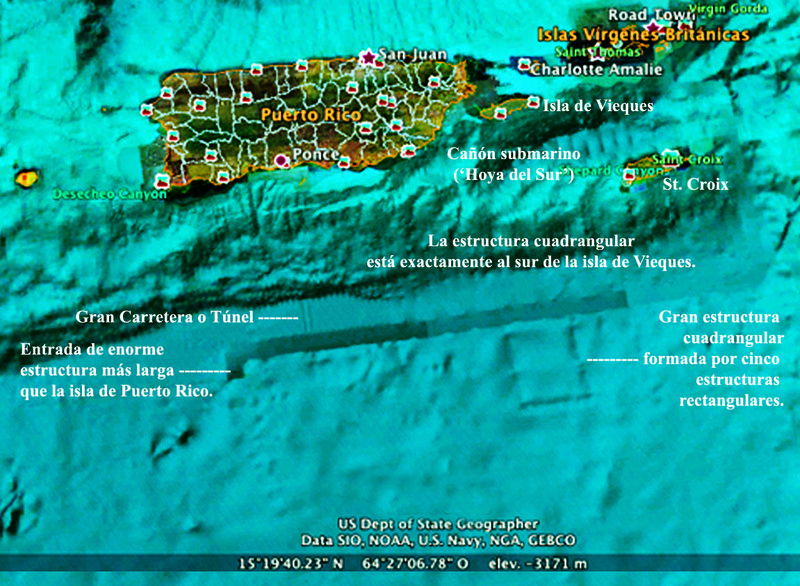 After dipping into the water, traveling 95 mph just below the surface, and emerging, the shape-shifting UFO eventually divides into two objects and finally seems to disappear into the Atlantic Ocean, near the Puerto Rico Trench (the deepest point in the Atlantic, at 28,373 feet; nearly the height of Mt. Everest). Below are stills from the video. 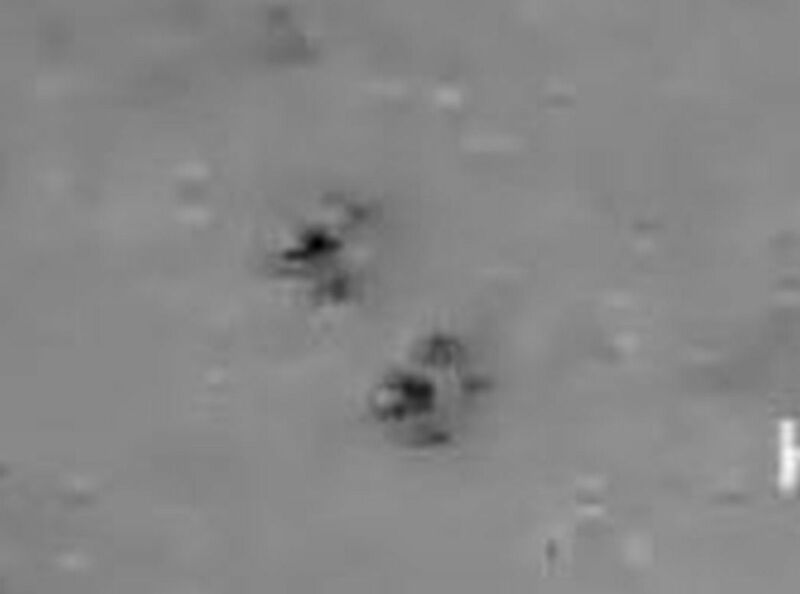 The first one, from 42 seconds into the thermal/IR video, shows the hotter center (black) and the cooler exterior (white). The second one, from 1 min. 6 sec. 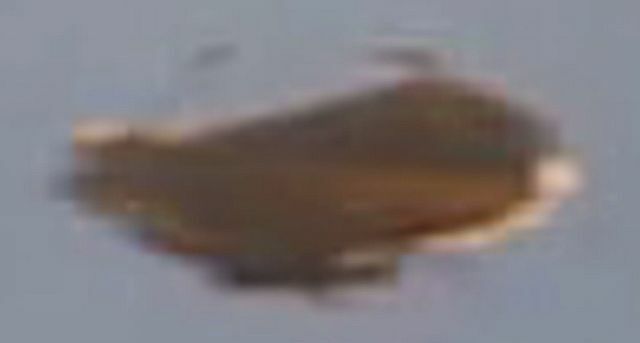 into the video, shows the craft in a more saucer-like shape. The third one, from 2 min. 36 sec. 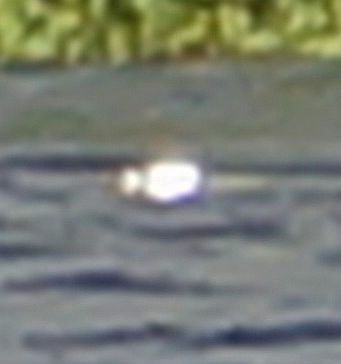 into the video, shows the object amazingly divide into two objects after emerging from the ocean. We captured both birds and insects this day to compare. Rest assured, this is neither! The strange audio we captured occurs at various points throughout this section of 7+ hours of raw footage from the webcam. Listen especially around 1:40:00 into the video. You should note that this tone could not be heard by the naked ears, so it was obviously an electromagnetic signal induced in the microphone and feed. It is not feedback, since our setup was shielded to prevent feedback and monitored live by staff in-person. Additionally, any transmissions being sent by our team were miles away from the webcam, and our transmissions only consisted of the Noory message. 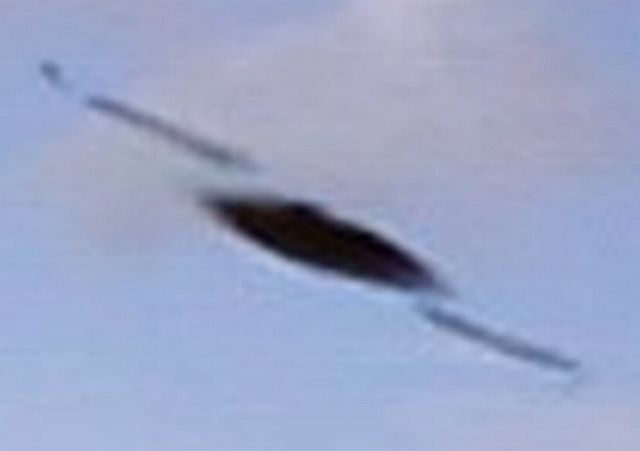 Scroll down for more amazing UFO images from this area of Puerto Rico! I am George Noory, host of Coast to Coast AM, and friendly ambassador for millions of Earth beings. On this date, in Earth time, on August 15, 1977, you attempted to send a message to us. We are now proud to acknowledge that message and respond. I represent those who want to rise above the challenges of our civilizations and enjoy the cosmos in mutual exploration. I speak on behalf of Earth beings who believe the time has come for our people to connect with your people in order to learn and live in harmony. As a sign of your cooperation, to share this date as the birth of a new era of tranquil contact, I humbly and sincerely ask you to appear today, to our people, in the skies, around the GPS coordinates: North 18 degrees, 1 minute and 385 seconds and West 67 degrees, 10 minutes and 454 seconds. We also ask you to increase your communication and enlightenment with all in the coming days. In peace, harmony, and goodwill for all, thank you. To download an mp3 of George's Message, click HERE. 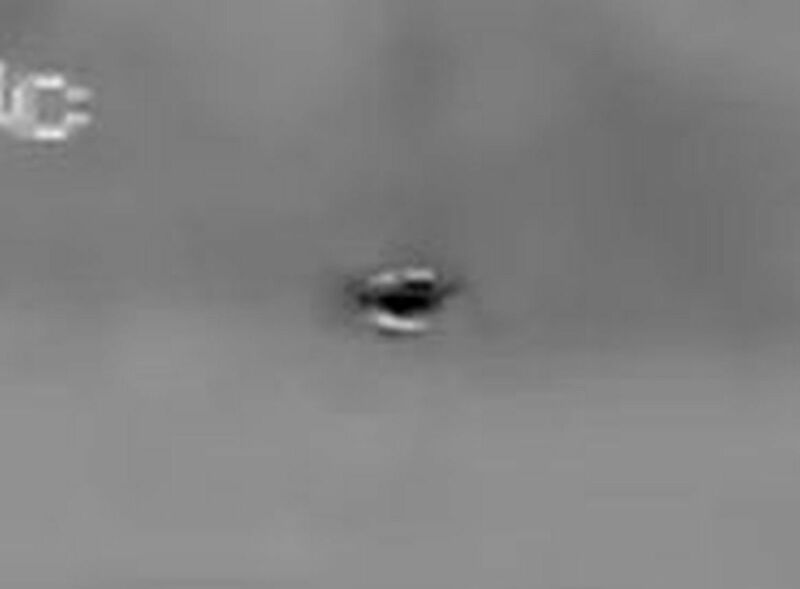 This clip of video, shot October of 2013, by Daniel Matos Velez, in Boqueron, Puerto Rico, shows a strange object breaking the surface of the Caribbean Sea and hovering in the sky, all within a split-second. There is no explanation for how any kind of conventional craft could do this, and it appears to substantiate hundreds of eyewitness reports collected over the decades in Puerto Rico. 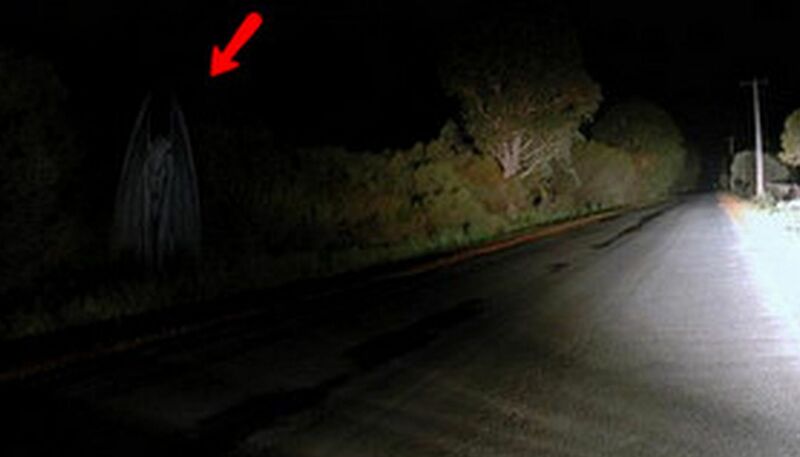 Here is a close-up of the Luis Aymat photo, shot nearby in 2012. Similarities? 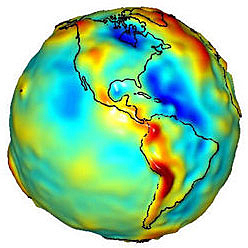 This Gravity Map by NASA illustrates the inconsistency of earth's gravitational field. Red indicates a strong field, blue a weak field. 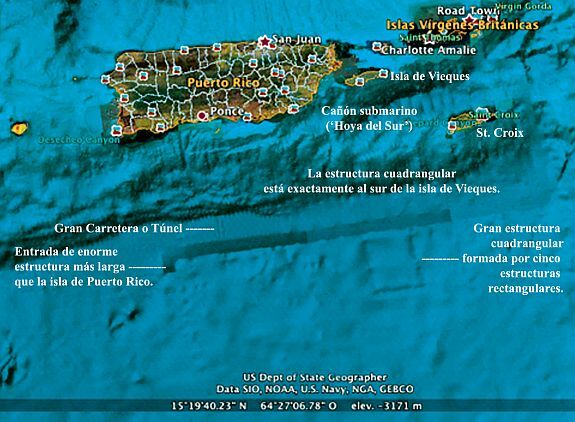 The entire area known as the "Bermuda Triangle" is blue, especially around Puerto Rico. Warren is studying the possible correlation between gravity fields/anomalies and mysterious phenomena. 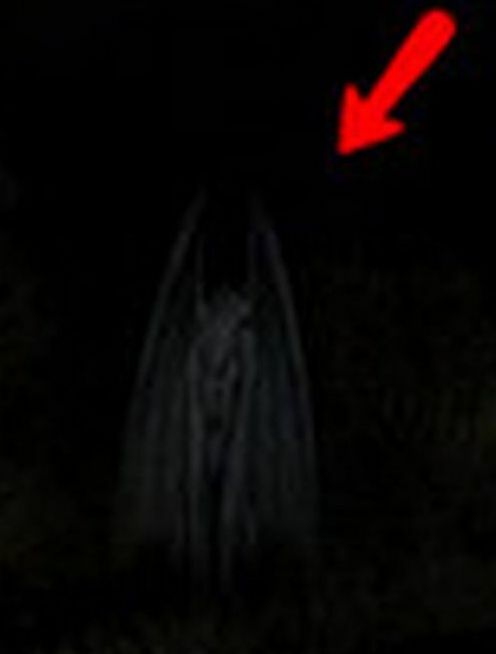 For years, residents of Puerto Rico, especially around the Ensenada Community of Guanica, have reported a 6-foot tall, gargoyle-like creature flying around the evening skies. It has been witnessed by dozens of people, including police officers. It's called the "Gargola." 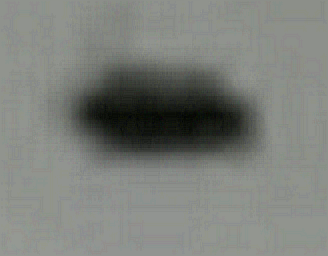 Could it be an alien or inter-dimensional being? Is this picture of the "Gargola" authentic? This research is conducted with valuable & generous support from Officer Shalene Gates of the Bermuda Triangle Base. Thank you Shalene!